Passion Animations Studios reveal the AR wizardry behind the cover of our Tech special, out now. 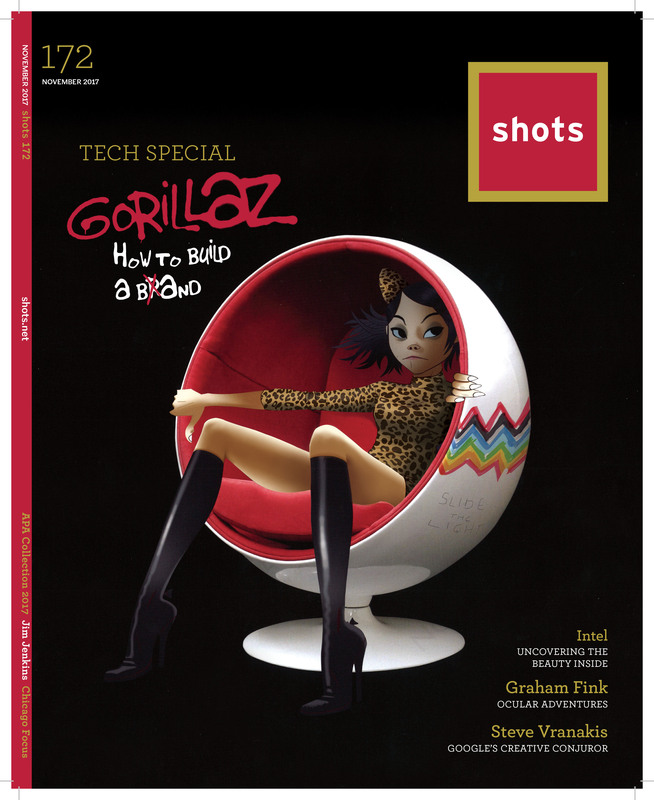 The new issue of shots is hot off the press - and as always, it includes a cool cover featuring a leading creative light. 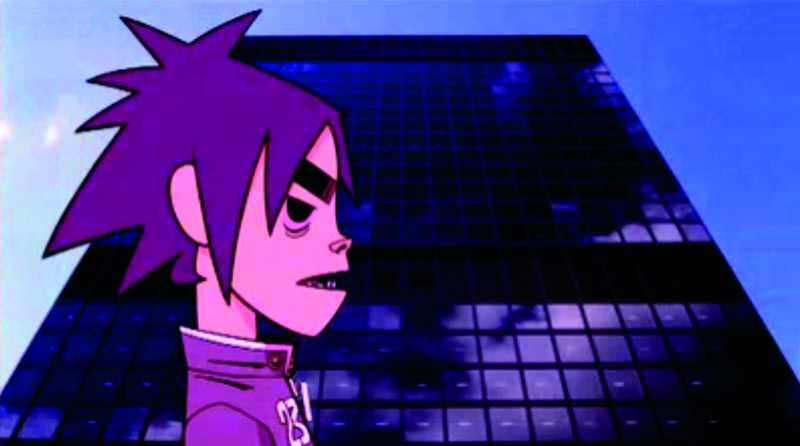 So who better to front our Tech special than the lead guitarist of GORILLAZ, the world's first virtual animated band? But we wanted to go one step further in showcasing the extraordinary technological innovation that's going on in our industry - so we enlisted the help of Passion Animation Studios, the band's long-term creative partners, to create an awesome augmented reality effect which literally brings our cover to life. To experience it for yourself, grab your copy of issue #172, download the free shots AR app [currently only available in the UK and US though we're working on adding more territories] on the Google or Apple stores (or search for 'shots AR'), open it, and point your phone's camera at the cover. And if you're left wondering 'how the hell did they do that?' then you're in luck: below, we're giving you a peek into the painstaking process via a Q&A with the Passion Animation Studios team. In the simplest possible terms, how does the cover technology work? Sajjad Amjad, pipeline developer and technical director: We use an application which can recognise images. We’ve put the cover image into that app, so it can recognise when it sees it through the camera. It can also tell us the rough location of the camera in relation to the image, and we use that to composite our 3D assets on top of what the camera is seeing. And how did you build it? SA: We used a game engine. The simplest way to describe how that works is that it’s an environment that allows you to bring in external assets, whether they’re three-dimensional or two-dimensional, animated or now. And it allows the artist to add interactivity to them. How long did the cover take to animate? SA: Passion has been developing and playing with this technology for over a year, so from a technical point of view we knew what needed to be done. With all the animation it took around three to four weeks. Debbie Crosscup, managing director and EP: We just thought it was a really fun image, Noodle’s always a great character to animate, and she plays a really prominent role in the latest video, Strobelite. 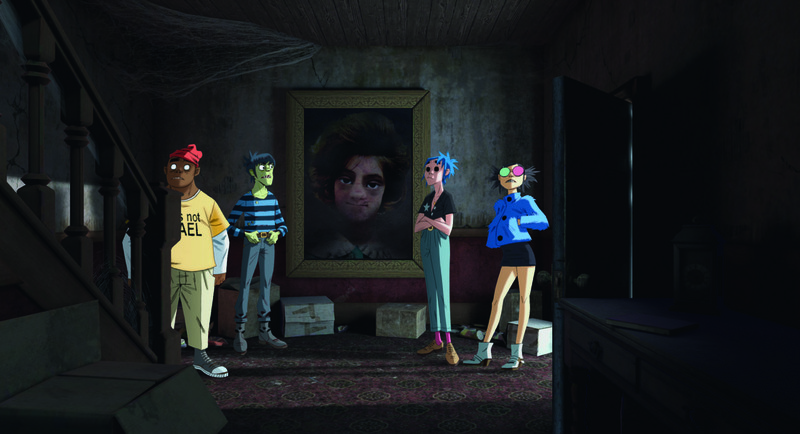 It was a limited-edition image: [Gorillaz] released a limited edition of the album Humanz and it was part of that release. What was the biggest technical challenge you had to overcome? SA: We’re used to everything being on screen, so everything has a frame, whereas with AR there is no frame: it’s in the hands of whoever has the phone. The camera can be anywhere - so if you move it [in one way], it might look good from that angle, but from all other angles it’s going to break. The rules of composition are completely different. DC: In 2D you spend a lot of time creating a composition and a frame, because you are directing the viewer’s eye to something, whereas in AR the viewer is directing [it] themselves, and they can view it from any position and any angle that they want. So it’s about staging it in a different way, rather than just composition. How has AR evolved over the past year? SA: It’s a lot more accessible now, as phones have improved and more people have access to AR tech. Also, brands are no longer using AR for the sake of it, they’re actually doing interesting work or [to achieve an effect] that can’t be [achieved] any other way.